Back in 2002, a Houston, Texas-based duo known as arQer & Realtime took the drum & bass world by storm, netting releases on acclaimed imprints like DJ Trace’s DSCI4, the mighty Renegade Hardware, and even establishing their own label, Monkey Bizness. After spending over a decade apart from releasing material together, they reemerged via Patrol the Skies‘ 2018 Holiday EP, which was the true calm before the storm. The duo, who still rep Texas to the fullest, have returned with a full length project, Crossroads, for the stateside dnb imprint. 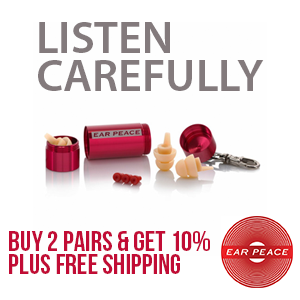 Over the sprawling, 14-track opus, arQer and Realtime run the gamut of the drum & bass sound. For every gnarly banger like “Crawl Your Way Out” or “Salami Tactics,” you have hypnotic, dubwise numbers like “Bad Service” or vibes-laden numbers like “Incognito” to get you right. It’s as if these two, who burst onto the scene over 17 years ago, haven’t missed a step since splitting up. Kicking off a new year, Patrol the Skies picked the right release to blaze the path with. 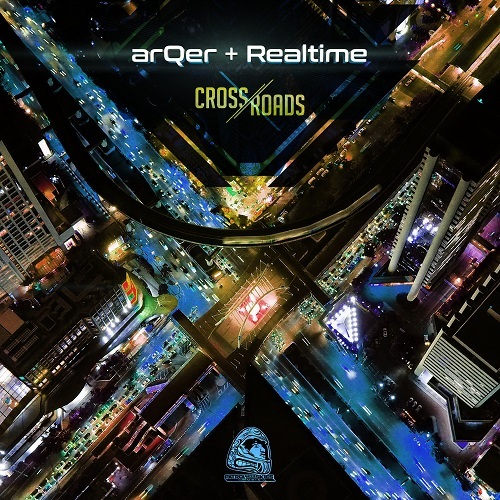 arQer & Realtime bring a refreshing, vibrant feel back to the dnb scene. While the album might be called Crossroads, you can only hope that this is just the beginning of their journey, charging ahead for dnb souljahs here and beyond…. Drum and Bass duo arQer and Realtime have been in the game since 1996, and call Houston TX their home. They have had releases on Renegade Hardware, DSCI4, Outbreak, Architecture, Gain, Nerve, Hardedged, Habit, Monkey Bizness, and Dubkraft, and have been featured on multiple Hospital podcasts . Their sound is an eclectic mix of all of their influences, and they are equally at ease with liquid as they are neuro. They run a label called Monkey Bizness which has been a vehicle to release their own tunes as well as tunes from artists like Task Horizon and Noisia. They are also involved with Molly on the Floor, a bass music group that makes, dubstep, electro, dnb, drumstep, and any other type of bass music. MOTF was nominated in 2012 as one of Houston’s best electronic groups.